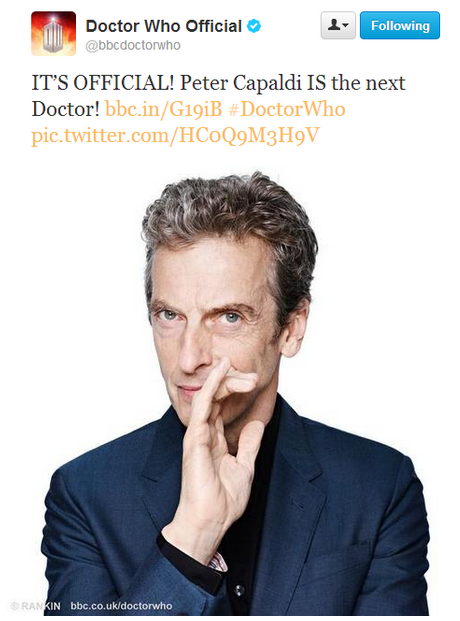 I, for one, am thoroughly excited with the casting of Peter Capaldi, a life long Doctor Who fan. There will be the inevitable backlash from tumblr because he’s not young/female/a person of colour, but I’m sure everyone will get over it once we actually see him as The Doctor. I can’t help but feel we’re going to go a lot darker with this regeneration, that he’s going to be a lot closer to Nine than Eleven.